Jaki Liebezeit spent the early part of his career in Barcelona playing Jazz with Chet Baker amongst others as well as studying Flamenco and Arabic music. In 1968 he was a founding member of Can, one of the most influential bands of all time, which helped to define what has become known as “Krautrock”. Since Can´s last performance in 1977, Brian Eno, Depeche Mode, Primal Scream, Eurhythmics and Bill Laswell amongst many other international artists have requested his inimitable groove. 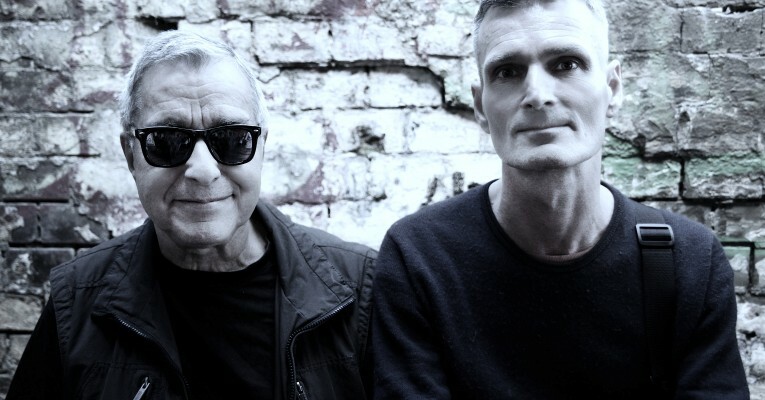 He developed his own projects such as “Drums Off Chaos” in 1982 around the time of his first meeting with Jah Wobble with whom he has worked on many occasions since.In 2001 Friedman and Liebezeit started touring and recording together. After studying art in Kassel, Bernd Friedmann decided in the late 1980s to pursue his creative ideas exclusively over the medium of music. He attended the Academy of Media Arts Cologne as a postgraduate guest student, and subsequently began to publish the audio repertoire built up since 1979 along with current studio productions. He also gave concerts and became involved in collaborative projects overseas. His productions were noticed by the Cologne electronic music scene in the 1990s, and roused even more attention at international level. His output is characterized by a series of collaborative projects with, or published under, names like Atom™, Flanger , Hayden Chisholm, Root70, Spacek, Mark Ernestus, Steve Jansen and David Sylvian. In 2000 Friedmann launched his own label Nonplace, with 36 releases to date. Bernd Friedmann was born in Coburg, Germany in 1965, and has lived in Berlin since 2009.